Mech looks like from the WW2 era mech tabletop game called “Gear Krieg”. And an American mech to boot! Now I´ll have to make a Valkurie, to make things right. 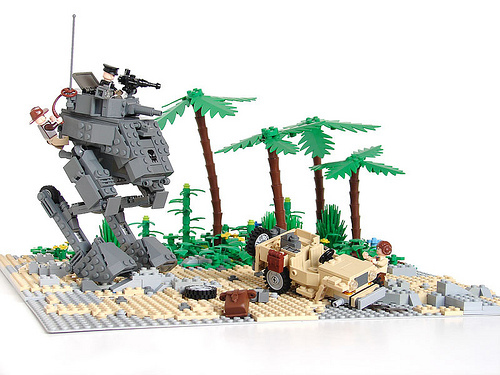 Actually, Jack, I pointed out to Gorazd all about “Gear Krieg” some time ago, regarding a different person’s MOC, and he even points out over on flickr that it was the game that inspired him to create this wonderful MOC.